Dr. Peggy Oti-Boateng is the Senior Programme Specialist for Science and Technology in the United Nations Educational, Scientific and Cultural Organization (UNESCO) Regional Office for Southern Africa in Harare, Zimbabwe. 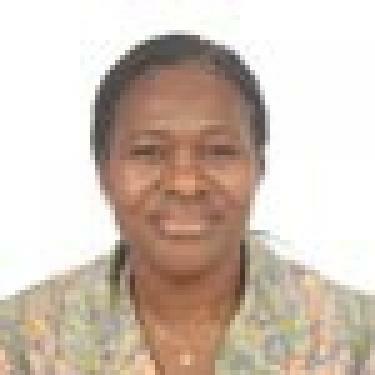 She also serves as the Coordinator for the African Network of Scientific and Technological Institutions (ANSTI). Dr. Oti-Boateng holds a doctoral degree in Nutrition and Food Technology from the University of Adelaide and a Bachelor of Science degree in Biochemistry from Kwame Nkrumah University of Science and Technology. Aside from her previous membership of the Board of Trustees at USIU-Africa, Dr. Oti-Boateng is also a member of the Governing Council of the African Network of Scientific and Technological Institutions (ANSTI) and also serves on the editorial board of the British-based Food Chain Journal. Dr. Oti-Boateng has over 32 years’ working experience in teaching, research and development of technologies for sustainable development and science, technology and innovation (STI) policy. In her current role, she continues to provide technical assistance and support to the African Union Commission, regional economic blocks, member states and universities in the promotion of Science, Technology and Innovation (STI) policies and access to knowledge. Previously, Dr. Oti-Boateng was the Director for the Technology Consultancy Centre (TCC), at the Kwame Nkrumah University of Science and Technology, where she managed numerous bilateral and multinational partnership projects with regional and global bodies such the European Union, the World Bank, and the African Development Bank, as well as inter-university partnerships with the Massachusetts Institute of Technology, the University of Pennsylvania and the University of Michigan. Dr. Oti-Boateng has for several years served as an international juror for the Mondialogo Engineering Award by UNESCO and Daimler. She was a member of the International Advisory Group for the Conference for Women Engineers and Scientists (ICWES15) – the world's largest conference and career fair for women in engineering and technology. She also coordinated the L’Oréal-UNESCO for Women in Science Fellowships Award for Sub-Saharan Africa. Dr. Oti-Boateng has conceived, written and edited several journal articles, technical papers, manuals, baseline reports, books and book chapters on science, technology and innovation policy, food technology, health and nutrition, microfinance, and HIV/AIDS.